Managing multiple phone lines in your business can be challenging at times. Mismanaged phone lines can lead to angry customers and frustrated employees. 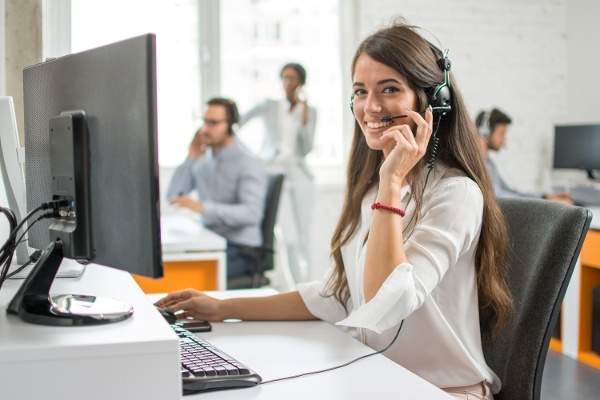 Dexcomm wants to help small businesses learn effective ways of achieving successful customer service results while handling multiple phone lines. Here are a few useful customer service tips for handling multiple phone lines to think about when getting your space set up. Great managers and supervisors know that in order for their employees to be successful, they must provide them with the proper tools and techniques they need to succeed. For phone operators who are handling multiple phone lines, this means having the appropriate workstation available. If your small business has only one person answering phones and greeting visitors, the front desk may be the most optimal space. But if your business has multiple phone operators, an area away from visitors may be more appropriate because of the noise associated with multiple operators. In addition, if your business does have multiple operators, it will be important to ensure that they can hear over each other. You may consider using cubicle walls or spacing the workstations out enough so that they can properly hear their callers. Every customer deserves to have their concerns heard and validated. Quick Tip: Workstations should be ergonomically set up to avoid safety concerns with repetitive motions. Click here to assess the ergonomics of your operator workstations. 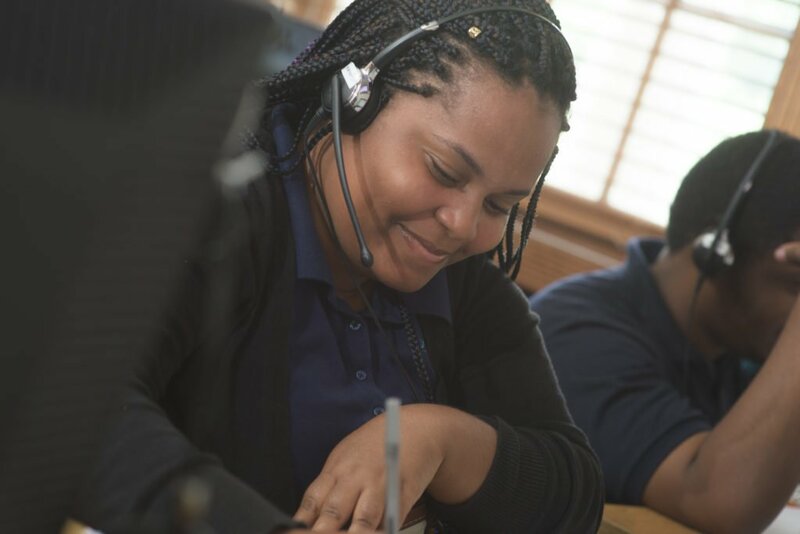 Headsets or earpieces are another important tool in helping your operators achieve success. The latest technology includes options like wireless and Bluetooth. Hands-free devices allow operators to take better notes, decrease the repetitive motion of using a traditional phone and increase the amount of movement and flexibility for multitasking. Multitasking activities can include things like greeting visitors and taking deliveries while continuing to manage the phone lines. If your phone operator is responsible for managing the front desk, consider having a window for privacy during phone calls or another way for the operator to notify a visitor that he/she is on the phone. One important consideration is the Health Insurance Privacy and Portability Act (HIPAA) and legalities around what visitors overhear when they are waiting to be greeted by your front desk person. 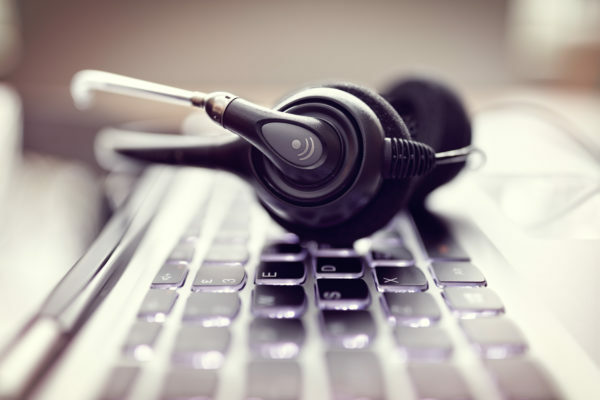 The customer experience is the most important thing to consider when establishing workstations for multiple phone lines. Using positive language at all times helps establish a camaraderie with your callers. Negative phrasing should be avoided at all costs. Remember, ensuring customer satisfaction will help to further your business' bottom line down the road. Phone system capabilities are another important part of having the right tools in place for achieving successful customer service results. Features like call recording, logging, caller ID, voicemail, ease of use, ringing options, hold music or service listings and voice-over IP are all features that should be considered when assessing phone systems.  Having a computer or standardized forms for your operators’ availability can help with message taking, note taking, form completion, customer resolution issues, etc. Assess what is unique to your business and set up systems for effective client management for your operators. Also consider having a system to allow operators to notify a supervisor or backup when in need. Consider a chat feature, a help button or other form of notification.